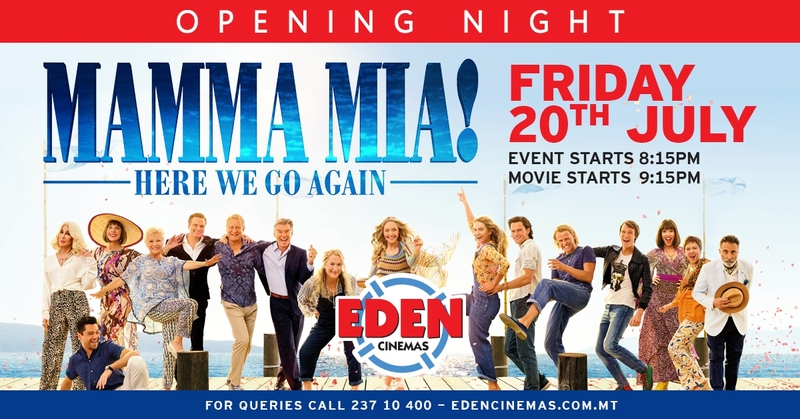 Mamma Mia – Here we go again, 10 years later! It’s back on the big screen at Eden Cinemas. It is only fitting that we celebrate the release of this much anticipated sequel in style, with a night full of fun surprises, including welcome drinks, gifts ,entertainment and more! The event kicks off at 8.15 p.m, where you will be treated to a welcome drink and some gifts followed by the movie screening that starts at 9.15 p.m.